Our CryoFacials at Cryo Shield Therapy are cold facials using the Cryoskin technology. 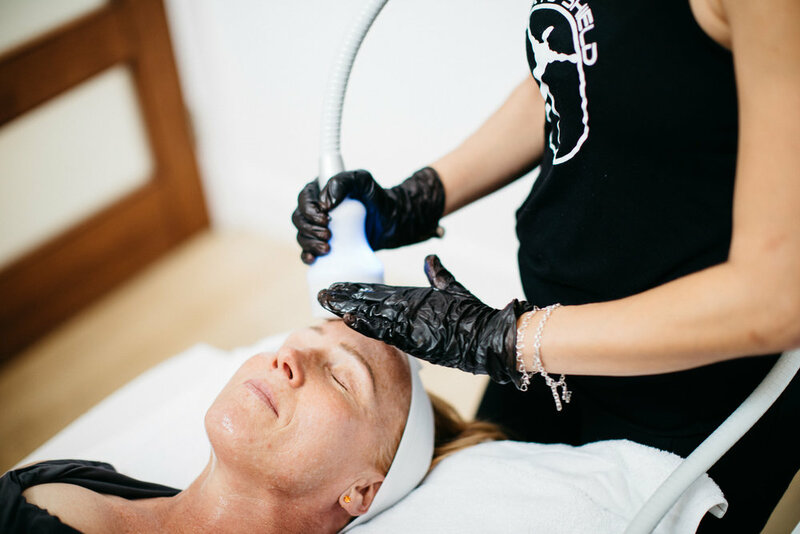 CryoFacials use the CryoToning settings to help exfoliate your skin, removing the top, dead layer of your skin revealing a brighter, more even face. This gentle exfoliation will speed cell turnover and help stimulate the skin cells underneath grow in a more smooth manner. If you’re preparing for a blizzard, don’t! The treatments will feel like a refreshing break from the summer sun. Cryoskin Toning treatments leave you with little to no redness or downtime, so you can return to your day right after you lay back and chill. Results vary from person to person. Best results are seen from multiple treatments.